WhatsApp is considered as the best option when it comes to messaging. The statistics proves this fact also. The WhatsApp has got a count of 800 million satisfied users around the globe, with no competitor. But this also has got some disadvantages also. The most primary among them is its privacy. 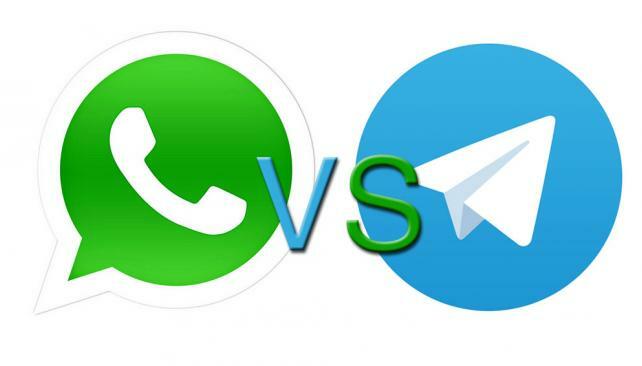 Some of the users of WhatsApp have suggested Telegram as a better alternative. Many of users see WhatsApp as the only way for better communication, but on seeing the features of Telegram, this has been proved wrong. Let’s see the merits of Telegram over WhatsApp. Telegram has got an advanced desktop app when compared to that of WhatsApp. Telegram has also got various versions which perfectly blends with Windows, Linux and OS X. The WhatsApp web app requires a tab to be kept open always to function properly. Also when you open 6 or 7 tabs at a time, WhatsApp may face temporary connection time-outs. But no such problem is faced when you use Telegram. It’s web app functions so well that it offers better functionality in Android as well as in iOS platforms. Privacy is always a problem with WhatsApp. But no such issue occurs when you use Telegram. It provides better privacy for your chats and grants end-to-end coding. The system functions in such a way that the messages never passes through Telegram’s servers. Also the messages are coded and decoded only at user’s device. Another option is the self-destructive chat, which automatically deletes your chat after a certain point of time. Another feature is that this app will also let you know who have taken the screenshot of your chats. Every instant messaging systems support for image sharing also. When it comes to Telegram, this feature has been extended. It permits the user to select one image from the gallery as well as allows them to search for one directly from the web as well. Also you are allowed to find certain images that will replicate at the same time as in conversation, the feature that is absent in other instant messaging systems. WhatsApp allows you to transfer only JPG format of images. While Telegram allows you to send any kind of files whether they are of JPG format, GIF, PDF files, Doc files, Excel Spreadsheets, Photoshop images and so on. When it comes to WhatsApp, you may require third party applications to send huge files. But in Telegram, you don’t require such third party applications, as Telegram allows you to send any file of any size. If you prefer to hide your contact details while engaging in chatting, you can opt for using username in Telegram. This doesn’t prevent others from adding you to their contact lists. But WhatsApp lacks this feature. Another feature of Telegram is its free subscription. When you use WhatsApp, the services will be available free only for the initial year and after that you may be required to pay a fixed amount as subscription fee. But when you opt for Telegram, it provides year end free subscription and also you are spared from annoying messages that reminds about the days left in your subscription period. In WhatsApp you may be allowed to have a group with a maximum of 100 members. But in Telegram, this number can go upto 200 members. This provides you an opportunity to have all your friends in your group. Nowadays it is quite common that your smartphone can be lost or stolen and you got worried about your personal details as well as chat conversions. In Telegram, you are allowed to delete your account with the help of Web App. This helps in preventing other from accessing your conversations even if the handset got stolen or lost.